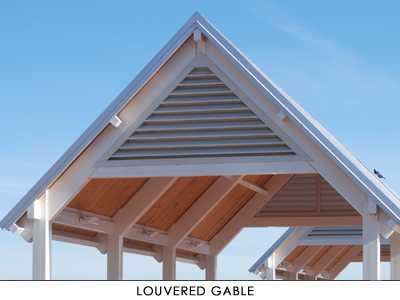 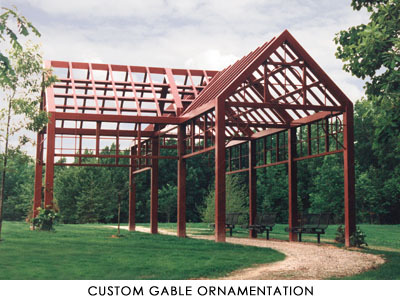 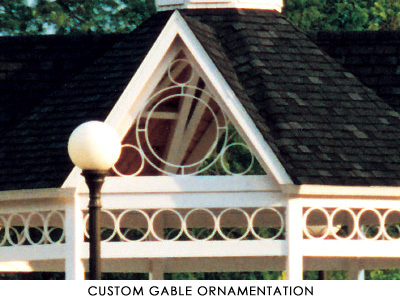 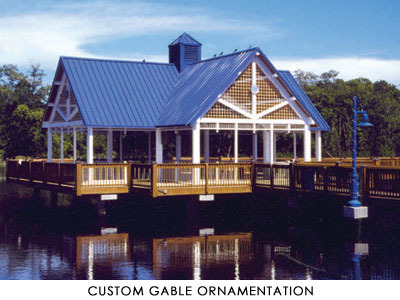 Gable ornamentation dates back to ancient Greek times. 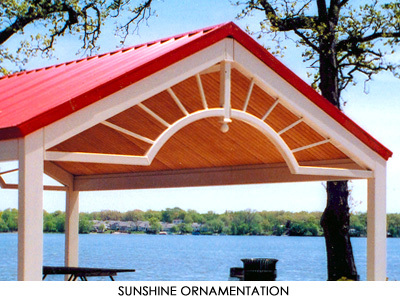 It is a small detail that adds a unique touch to your shelter. 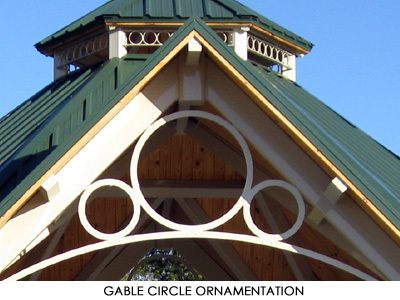 Ornamentation can showcase artwork or announce a location. 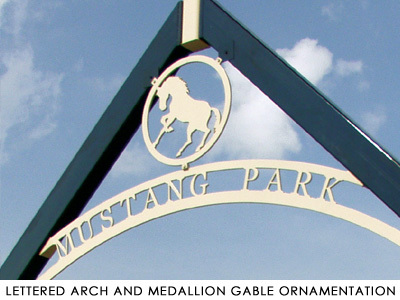 It can also make a first impression, create an interesting focal point or become a signature of fine craftsmanship. 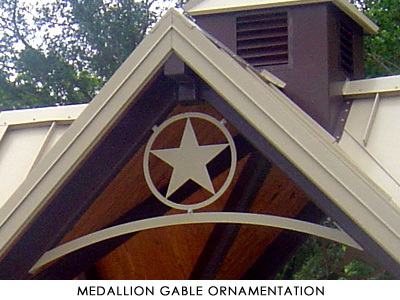 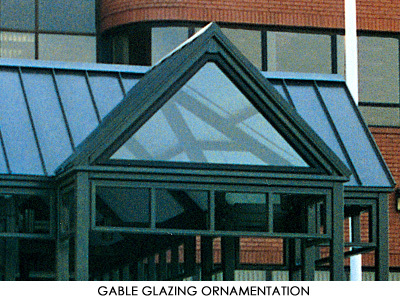 Poligon’s gable ornamentation is created by our team of designers. 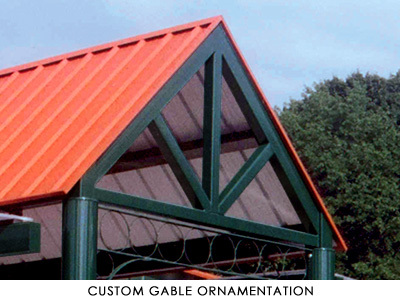 Standard designs are available or you can personalize for a custom look. 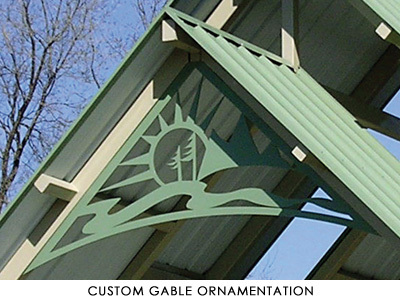 Each design is cut out with our state of the art laser for a crisp clean look. 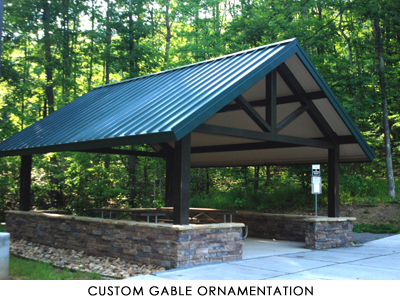 The final product is powder coated with our signature Poli-5000 available in 40 standard colors allowing your design to blend in or stand out.